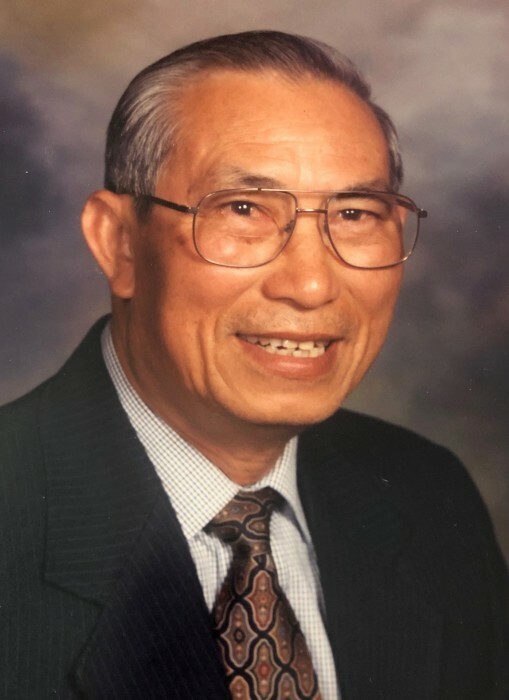 Toan Baccam, 86, of Mt. Pleasant, IA, died Sunday, April 7, 2019, at the University of Iowa Hospitals and Clinics in Iowa City. Visitation will be held, Wednesday, April 10, 2019, from 12:00 noon to 7:00 p.m. with family present from 5:00 – 7:00 p.m. at Olson~Powell Memorial Chapel. A funeral service will be held Thursday, April 11, 2019 at 10:30 a.m. at First Presbyterian Church with Reverend Trey Hegar and Houng Baccam officiating. On-line condolences may be directed to www.olsonpowell.com. Born July 28, 1932, in Sonla Vietnam, Toan was the son of Biu and Ban Baccam. He completed high school and had medical training in Sonla. On July 9, 1953, in Sonla he married Choum Baccam. Toan served as a medic in the military in Vietnam from 1949-1954 and then worked as a medic in Sonla. He then worked as a loan officer for an international bank in Laos until May of 1975. In 1976, Toan moved his family to Mt. Pleasant, IA where he worked as a machine operator for Mackay Envelope for 25 years. A member of First Presbyterian Church in Mt. Pleasant, Toan served as a deacon. He liked to fish, garden, tend his pear orchard, exercise, walk, mushroom hunt, Tai Chi, and most of all he loved to spend time with his grandchildren. Toan is survived by six daughters, Yenchay (Tony) Tangkhapanya, Tia (Rod) Scheitlin, and Phanie Baccam all of Mt. Pleasant, IA, Joy (Damon) Benedict of North Liberty, IA, Panith Baccam-Crile (Brandon Butters) of Ankeny, IA and Panom (David) Foell of Urbandale, IA; four sons, Inh Joe (Bounmy) Baccam, Khoung Kham (Oat) Baccam, Khamheuang (Chanh) Baccam, and Lou (Stacie) Baccam all of Mt. Pleasant, IA; twenty-five grandchildren; fourteen great-grandchildren; four half-sisters; and one half-brother. Preceding Toan in death are his parents; his wife; one daughter, Bounniene Baccam; two sons, Khoi Baccam and Go Baccam; one sister, La Moi Cam; and numerous half-brothers and half-sisters.